Thank you Grimm fans! 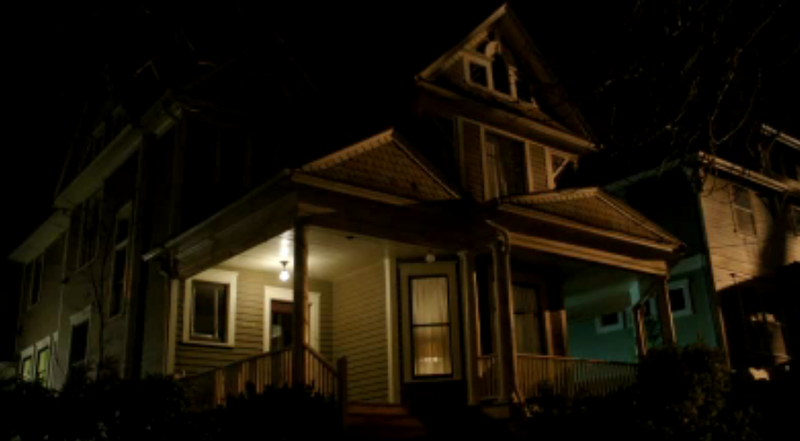 Several readers have sent me information on the location of Nick & Juliette's house on Grimm. Some of you have even scouted it out in person. The house is located in NE Portland's King neighborhood. 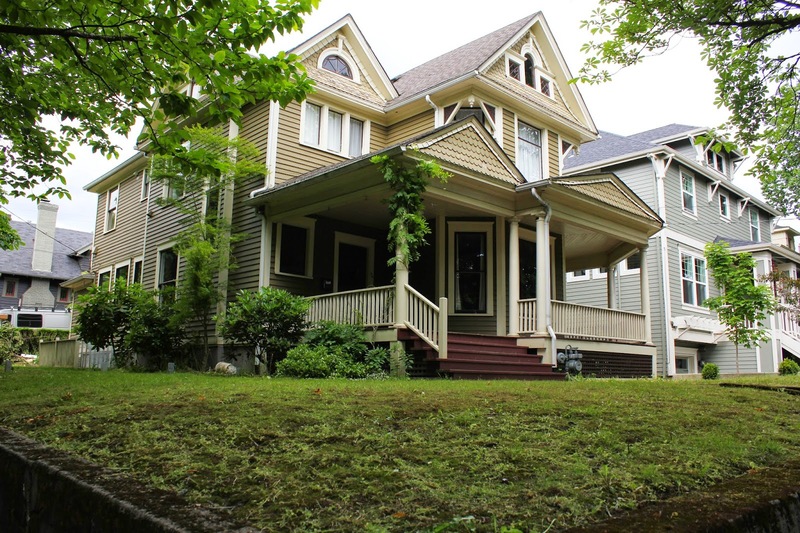 The current owners purchased the home in February 2011, and they were contacted by Grimm regarding filming shortly thereafter. Nick & Juliette's relationship has hit a few bumps in recent weeks. Most recently, Nick failed to get a "yes" to his proposal in Episode 16. Recalling the story of Romeo & Juliet: "Romeo and Juliet is a tragedy written early in the career of playwright William Shakespeare about two young star-crossed lovers whose deaths ultimately unite their feuding families." So, I'm curious. Someone bought the house after they'd started filming there, and they're still filming there, yes? So I wonder how that would work? I know they don't actually film inside, but they do exteriors, and it seems like a buyer would want to know about that. I don't know...did NBC purchase the house? I watched Grimm film friday at this location and meet the owners, their baby and their dog standing outside. They were contacted by Grimm reps after escrow and rent it from them. They used the inside during the pilot but only use exteriors and entry way now. They had changed the curtains and front door for this filming. The owners wouldn't say how much they are paid but implied that Grimm treats them well and cleans up after themselves, sometimes sending a cleaning crew. I'm wondering about the process of suggesting my neighbor's house as a possible Grimm filming location. Do you have any idea about who I would contact? I have no idea if either of these work, so please let me know how it goes! Nick's house is just down the street from me on NE Prescott. I watched them film a scene with Monroe and Rosalee earlier this summer that aired this week! Are there any pictures of the inside of Juliette's house or at least the set. I just love the trim work and colors of the walls. What place are the actually using for the remedy shop on the show?